If you want to see the best WordPress Page Builder tools compared in one place, then you’ll LOVE this review. My team and I rigorously tested all their feature to the MAX (See how they compare). Find out which one is right for you and your business? We Compare and rate each the ‘Must Have’ features against each WordPress Page Builder so you can see the truth behind the hype. The independent, unrestricted control and not having to rely on programers, designers or web developers ever again!! All that time and money saved!!!!! Oh and did I mention, you’ll save load of time and money haha. Bottom Line: Page builders have EXPLODED. So, for my review, I put the most popular WordPress Page Builders through their paces and test them to the max. Let’s settle the debate over which is the best WordPress Page builder once and for all. 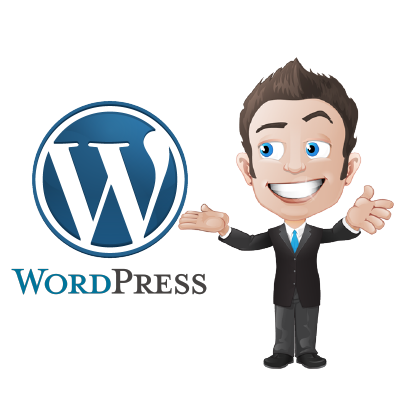 So, If you want to find the best WordPress page builder, you’ll love this guide. What is a WordPress Page Builder/Visual Composer, & why do you need one? A Page Builder is a design tool for use on websites. As I said earlier, the purpose of this review is to find out which is the most responsive WordPress editor. Ideally, an editor should have a friendly user interface and should be easy to use – even if you’re a non-techie! It also eliminates the necessity of learning complicated coding such as HTML. By using an additional editor, together with your content managing system (CMS), you will have the capacity to create many designs which you may not have been able to do on your current default CMS editor. 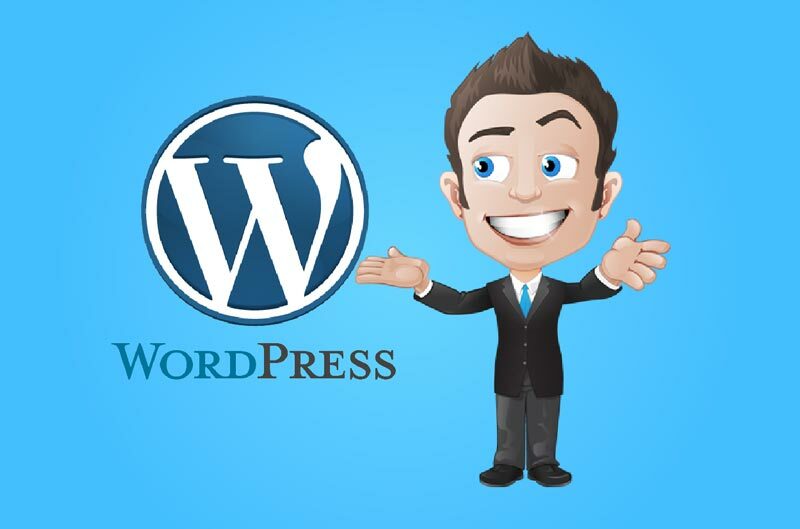 As this article focuses on WordPress editors, if WordPress is not your current CMS the plugins mentioned might not be compatible with the one you are using, so, before you continue reading, it would probably be best to check. Check Now! So, to help you make the right choice for your website, I’m going to look at the top 5 WordPress Page Builder providers below and give my view on them. Thrive Architect is the new Thrive Content Builder and is especially popular with serial bloggers. It’s very similar to that of Elementor. Divi claims to be a premium page builder and is commonly used with Divi theme, however you can use the page builder as a stand alone plugin with other themes . Elementor is one of the newbies out there in the market; having been established in 2016. That said, it’s now one of the most popluar WordPress builders out there today. Beaver Builder has been established since 2014 and is very popular. They are always producing more new features and updates for their customers. WordPress page builder which is compatible with many themes available on ThemeForest, making it one of the most commonly used page builders around. If you are starting out and haven’t chosen a CMS, then read our reviews on what ones we think are the best to help you make the right choice. Now, let’s get back to Editors! Nowadays there are myriad of choices when it comes to editors or page builders (basically the same thing). Some have been around for a long time and have benefitted from multiple upgrades to keep up with the wants and needs of their users. Others, however, are new and, through reaping the experience of the forefathers, come equipped with all elements. Each editor cost, looks and works slightly differently. There are no defined rules, no do’s and don’ts. It’s as simple as finding one that you are comfortable with and that suits your style of working. The purpose of using an editor is to allow more freedom of creativity by giving you full control over your pages without having to deal with the technical limitations…meaning you and your team should be able to use it without any problems! Do I need a WordPress editor, will it make a difference, or will it be ‘another thing’ I will need to learn how to use? The truth is …, yes, – it is another thing to learn and use, but it will make a difference! If the default editors in our CMS did everything, then there wouldn’t be a need for editors…and with the vast amount to choose from – the demand is indeed there! Like most other CMS’, WordPress hasn’t upgraded its editor for at least ten years, which is surprising considering the costs associated with CMSs. This means that the market continues to grow and develop and makes replacing the WordPress editor even more of a to-do list top ten. There seems to be a lot of hype around the ‘Gutenberg’ editor. Promising marvellous things from WordPress, but in my opinion, has a long way to go before it could be considered a major competitor. Don’t take my word for it though, why not take a look and make up your own mind. What makes plug-in Page Builders different? Standard CMS built-in editors allow you to use a drag and drop process to move things around, insert images, edit type/fonts and adjust the size of each element, which are all necessary ‘must haves’ to get started. Plug-in editors give you much more freedom! You get total control of your page and its layouts. This is usually done by a column/grid layout which you can add and amend to, for your preference. FYI– It is best to keep the layout as it is for the benefit of those using mobile phones and tablets. These days your site needs to be 100% responsive and viewable on all devices. Not only does this make the usability available to all, but it also helps your ranking in Google (that smart robot that seems to run the web!). Building a site that is not mobile responsive would be a huge mistake. With plug-in editors, your creativity can let loose! You can develop columns and grids into beautiful responsive designs. You can add all kinds of elements such as content and icon boxes, tables and animations, etc. So, what exactly are the key differences between the default editor and WordPress editor plug-in? I know I’ve been emphasising how great WordPress editors are and why they are necessary, but like all things, they don’t always live up to their high expectations. Whichever choice you make, there will still be good and bad points to consider. Without a general knowledge of coding and CSS, changing the style of your page is near impossible. You can get the results you want without having to know coding! If you don’t want to design your templates, you can use the predesigned ones. Everyone has their own opinion, I wouldn’t be writing this if I didn’t think editors were worth it, nor if I thought choosing an editor was a simple decision to make. Generally, in my opinion, a page editor will make all the difference to your website, your visitors, your engagement and most importantly your sales and acquisition! I say ‘generally’ because sometimes images, flashes, and colour when used together can result in overkill. The best thing about plug-ins is that you don’t have to use them! You can still always use your default editor – it just gives you options. In WordPress each time you want to create a new post/page the CRM gives you the option to choose which editor to use – the default or the plug-in. It’s at this point when you will need to decide which way to go. If your page is a simple text-based style, you can go to the default editor. If you want to make it more creative and engaging, then the plug-in will give you added design freedom. I have outlined the differences and abilities of WordPress Editors, so hopefully, you will have a better understanding than you did before. Now, let’s take a look at the different types. Yes, that’s right different types! There are two main types of editor, one that works in the back end of your CMS and requires you to update and refresh to be able to view changes (similar to the default editor). These editors are very ‘block format’ based, which is necessary for responsiveness reasons but can limit creativity. The second is a front-end editor; this allows you to make changes on the page and view them immediately (real time) offering more variety in design and styles. The top five WordPress editors I am going to review are of the second type, so keep reading to see how they fared. Beaver Builder – This WordPress Editor has been around for some time and is tailored towards Web developer professionals. Elementor is one of the newer WordPress Editors on the market. It is still gaining popularity through simple design and by offering a free version. Divi Builder is a product of Elegant Themes. Initially, it was just a back-end editor but has now been modified to a front-end editor and is growing in popularity. Visual Composer is one of the longest standing Editors showing no signs of disappearing and offering a full front end editing solution. What are the most important ‘must haves’? The elements page on Visual Composer is not visually appealing. There is too much on display which leaves it cluttered. The sidebar displayed in Elementor is more straightforward to use and much easier on the eye! Having the bar present throughout the whole time that you’re building your page is excellent as it means that you don’t have to click on everything to find what you’re looking for. Being able to find what you want is very important – something that unfortunately isn’t made easy by Visual Composer. Most Page builders allow you to view the icons and menus while adding elements, whereas Visual Composer requires you to search for them!! So, overall, how did they stack up? This is a simple design, but it’s rather annoying that you have to keep clicking the sidebar to display the options on the page. Hmmm, 3 stars. As mentioned before, it is easy to use and understand, although you may need to look harder than Thrive Architect to find the things you need. Nice work Elementor, 4 stars. The floating window combined with the constant scrolling makes it uncomfortable and frustrating to use. Could do better Divi so only 3 stars. This is too busy for me, and I found it confusing and difficult to use. Very disappointing Visual Composer, so only 2 stars. The module library has a comprehensive collection of elements which you can utilize when building your page. Included are things such as images, buttons and blocks of text. Together with some more advanced features such as sliders, accordions and pricing tables. So let’s see how our 5 WordPress editors stacked up. If you were expecting a whole library of brand new elements, then I am afraid that you’ll be in for a disappointment, as there aren’t any. What in fact has happened is that a few of those pre-styled elements have left us such as pricing tables and guarantee. It’s a shame, but what can you do? Only 3 stars. Beaver Builder covers most of the basics, as well as having some conversion elements such as the subscribe form, a countdown timer, and a testimonial slider. However, it doesn’t progress much beyond that. Not bad though, 3 stars. Elementor offers a vast library of elements with loads of choices. It is worth remembering though, that some of them are exclusive to the PRO members, however, even as a free user there is still a huge selection. Good job Elementor, 4 stars. Divi has a robust library consisting of 46 content modules that you can use efficiently to build your page. The window is a little small for my liking, which meant that I was using their search bar nearly all the time, which I didn’t have to do when using the other editors. Not too shabby Divi, 3 stars. Visual Composer does come with many element options for you to choose from. The choice may look vast, however, many on offer seem null and void, and there appear to be multiple elements doing the job of one. Need to improve, 2 stars Visual Composer. In this section, we’ll discover just how flexible each WordPress editor is to ensure you choose the right tool for you. This was easy as this is the Editor I use, so of course, everything was straightforward (probably not a fair comparison!!) A deserving 4 stars none the less. Some elements are more difficult to style than others. It didn’t make any sense to apply different options to each component. I really struggled, so only 2 stars. Again Elementor is good at this, with hardly any limitations or restrictions on design. This definitely gets a big thumbs up and bar far my favourite so a maximum 5 stars. It did everything that I wanted although it did take me longer than some of the others, so could only award Divi 3 stars. With such a vast list of elements and templates you’d be mistaken in thinking it had everything. Looks can be deceiving though, and it didn’t come anywhere close to what I was expecting. A disappointing 2 stars. If you depend a lot on templates, then Beaver Builder offers you a reasonable amount of selection in content structures and landing pages to hopefully meet your needs. Not bad Beaver Builder, 3 stars. Elementor’s selection was by no means terrible, but I would think that a lot of people would agree that it is nowhere near complete. Especially when looking at what other editors have to offer. Room for improvement Elementor, 3 stars. If you are a template fanatic, you will probably feel quite frustrated using Divi’s pre-designed template options that are straight from the box. Not impressed Divi, 2 stars. Visual Composer offers a wide variety of WordPress templates to suite any project that you may be doing. Why not visit the Visual Composer Hub, which is the free market place for brilliant WordPress templates? Good show Visual Composer, 3 stars. So, we all know what we are trying to do, and we want to get it done as quickly as possible, sound familiar? We’ve got the tools, but have we got the speed? In this section, we’ll find out how long it takes to achieve what we set out to do. So far, we’ve looked at usability and capabilities, now let’s look at production speed and load times. Making multiple changes to a page that takes forever to register isn’t going to be useful and will end up being a hugely frustrating waste of time! It’s fast, very fast. Everything that was added or amended was instantly registered which made the whole process super easy and efficient. 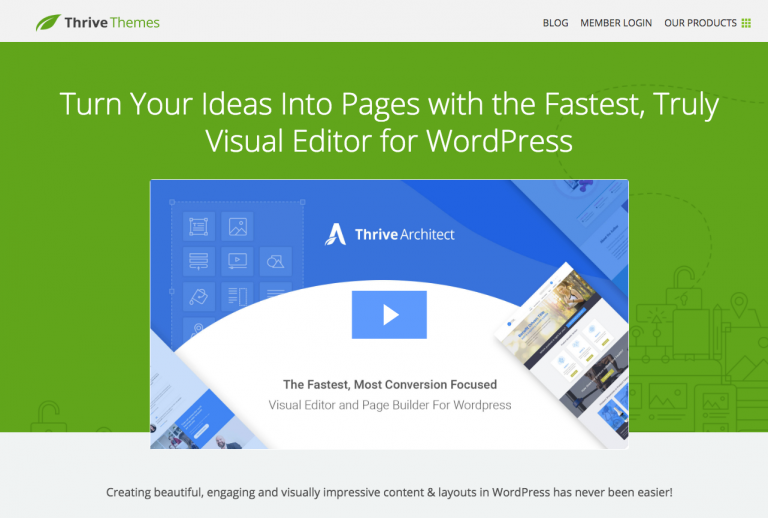 Thrive were one of the first on the market when releasing their WordPress editor, with an ever increasing customer base. A deservedly 5 stars. This isn’t very fast. Every amendment or edit takes a few seconds to register. A few seconds doesn’t sound like much but when you have lots of changes to make it does become very annoying. Seriously needs to speed up, 3 stars. Every so often, Elementor had a slight delay in loading. However, the overall speed of the editor was good! Good try Elementor, 4 stars. Is excellent when it comes to speed. Initially, the load time does take a few minutes, but from then onwards it was smooth sailing. Impressed, 4 stars. This was the most frustrating of them all. The amount of time that it took to register the smallest change was not acceptable. The time to achieve even the most minor changes was shocking! No comment, 1 star. Things DO go wrong, and sometimes we don’t know how to fix them. Customer service is essential in every market, be it product or service. Customer support is even more critical if you have a problem with your website, as it needs to be sorted quickly and efficiently. Otherwise, it may cost you! So, with this in mind, we will gauge our top 5 WordPress Editors– for their speed of service and accuracy of the fix! Historically, Thrive, hasn’t been the best when it comes to customer support, but with the release of Thrive Architect, we have seen improvements so want to award them 4 stars. With Beaver Builder, you must raise a ‘ticket.’ This being a common support process for many service providers it doesn’t always seem like the most efficient. It was, however, pretty responsive and most queries get addressed quickly. Well done, 3 stars. As well as offering multiple ‘how to’ documents, Elementor also has a large community on Facebook that is a fantastic source to go to if you’re stuck! So much choice. Excellent! 5 stars. The support provided by Divi is slightly different from the others I have come across. They have a library of information in their forum which is not only from their support team but also from their customers. Different, but good, 3 stars. The response time with the Visual Composer is less than desirable. It can take a good couple of hours to receive a response from a query, which isn’t great when you need to make updates on a live website! Could do much better, 2 stars. In a world that is ruled by tech and with such a vast market, it is essential to have a reliable, up-to-date Editor that provides you with the tools you need and trust. Credibility: Do they have a secure website? Are their claims realistic? Are they on social media channels? Do they have a public voice? Customer reviews: What do their customers really say about them? If the answers to the above points are positive, then chances are you’ve chosen a good one to work with. It’s important to choose an Editor that you like and want to work with. It’s not a short-term investment and is something that requires time and consideration. It is also vital that you chose an Editor you are compatible with and want to continue using. It isn’t something you can change your mind on every week or month etc. Or if you do, it’s a whole lot of work every time! You’re probably thinking, why would that be? Every page you build with that editor has a unique code that relates to that editor and only that editor. This means that if you decide to change the editor, you will need to re-build your pages from scratch– making it vital to make the right choice, to begin with. So, how are they measuring up so far? One of the first on the market with an ever-growing customer base! 5 stars. It has grown a committed customer base in the few years it has been running and seems to be secure in the marketplace with a strong presence within the developer’s community. 4 stars. Being the newest editor that we are reviewing, it is harder to judge. I’d advise waiting a little bit longer before jumping into this one. However, their customer base is growing, and the reviews are quite good! So 4 stars. This is backed by the ever-reliable Elegant theme and has developed tremendously since it first began. I do believe though, that this one is sticking around for the long-haul. A well earned 5 stars. Is one of the longest going and has a very loyal customer base. I don’t see Visual Composer leaving us anytime soon! A good 5 stars. So, how do they all compare? We’ve given each a rating out of 5 for the above mentioned ‘must haves,’ and ranked them in the table below. Depending on the size and scope of your business this could be the decider for you! If you are starting up and money is tight, or even if you’re well established and looking to save on your budget, having an Editor does not have to break the bank! You can see from the price comparison that there is one WP Editor that stands out in this area and that’s Elementor. Their free version without too many limitations is a comprehensive page builder making it excellent value. This is the one we use at Entrepreneurs Gateway and gets my top vote for the ‘Best Value’ WordPress Editor. We have established that Elementor is more than up to the job for a page builder and is reasonably priced (free initially). But having said that; the Editor does fall short when it comes to the Marketing side of things. And we all know the main reason we build a website is for the monetary gain it will drive into a business. But it does exist, and gets my top vote for the best Premium WordPress Editor. Can this latest version from Thrive surpass expectations following on from Thrive Content Builder? As you would expect, Thrive Architect has the full ability to recreate practically any design and works seamlessly alongside other current Thrive products. There isn’t a free option but, it is on the cheaper side of the editor’s price list, compared with other on the current market. Overall, it is an intuitive builder, however, in places, it needs some minor interface tweaks. Divi Builder 3.0 is promoted as having had a complete overhaul. Our review will prove if this is indeed true! I will be looking at what is both good and bad to see whether Divi 3.0 can indeed wear the crown of the new generation of page builders. Divi works well until you challenge it with more advanced customizations and layouts. Taking into account that you get all the Elegant Themes and plugins included in the page builder, it still comes out at the somewhat pricey end. Divi’s minimal interface did take out most of the guesswork when you got down to using this page builder. Elementor is the newest Editor to join the scene. Even with all the other competition, it is coming along in leaps and bounds and rapidly gaining customer growth. At Entrepreneurs Gateway, the WordPress editor we chose to use is Elementor. We are smitten with it and have found it to be far superior to the alternative editing software available. Should you need to recreate an existing page or create one from your imagination, then you won’t be disappointed as there isn’t much that Elementor can’t handle. Is probably the best value for money as it is free and the tool is virtually a complete product in itself. A PRO version is available but isn’t necessarily for everyone. As with most things, it will take some getting used to, but you will find there is plenty of useful information that will guide you through that initial learning stage. Despite more of a hands-off, than hands-on attitude from Elementor, the detailed documentation together with the community support groups are top notch. Beaver builder is currently one of the most popular page builders. It is a favourite with both developers and designers. In this review, I’ll cover all aspects of the page builder to find out if it merits its status. Beaver Builder is practical and covers all the basics, but if you attempt anything too technical, you’ll quickly find yourself up against a roadblock. Not the cheapest page builder, but the lowest level plan is still reasonably priced considering you can use it on an unlimited number of sites. Overall, this builder is user-friendly, but that’s mainly because of its limited capabilities. Several support options are available which are reasonably reliable, including an active Facebook community group with 6,000+ users. 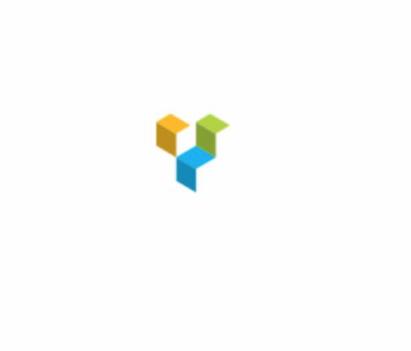 Visual Composer was one of the very first WordPress Editors. In this review, we will check out if being a ‘Goldie Oldie’ is more advantageous than being a ‘new kid on the block. For basic layouts, it rocks. However, more complicated designs are not so easy to achieve. If you only need one licence, Visual Composer is excellent on price; if you need more than this, the cost soon adds up to an excessive amount. If you like clicking, then you’ll love it. However, I think it could be more straightforward. Before purchase, there is none available, and after purchasing, the support is pretty average. Have you been party to the Best 5 WordPress Editors we have reviewed , and if so, what can you share with us?